Lynn Harris Medcalf, MA, APR is a veteran communications and public relations executive. 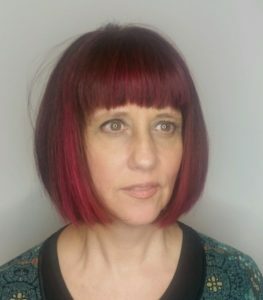 An award-winning independent public relations practitioner, Lynn currently provides strategic counsel and tactical support to a number of clients, including Adrenaline, LendingPoint and NationalDCP. She co-founded one of the most successful boutique media relations companies in the country, running day-to-day operations for nearly sixteen years. Her clientele spanned a number of industries and included organizations like AARP, the American Diabetes Association, the Robert Wood Johnson Foundation, and the Annie E. Casey Foundation, Discovery Communications UPS, and Microsoft, among many others, to secure earned media placements. In January 2013, she developed and executed a pro bono PSA campaign for Feeding America that garnered an audience of more than fourteen million and delivered nearly $100,000 in media value. Public and media relations is Lynn’s passion which is why she created News Generation in 1997 to provide full-service media relations services to organizations in an affordable, structured way. In nearly twenty-years of media relations pitching and placing stories, Lynn has helped organizations get the word out about important issues that make a difference in people’s lives – whether it is the prescription drug benefit in Medicare, which ultimately passed after a three year media relations campaign, to raising awareness about resources for people needing more information about diabetes and lupus and how states are doing in providing education and care for children, Lynn cares deeply about the issues she pitches and wants to make a difference in the world. Public and media relations can do that. In 2013, Lynn left News Generation in order to pursue her passion more directly. She is proud of the company she helped to build, but wanted to take a more hands-on approach in public and media relations by working strategically with clients on their media relations campaigns from the ground up, instead overseeing one broadcast push at a time along with the responsibilities of running day-to-day operations for a company. In short, running a company got in the way of doing what she loves most – developing strategic communications campaigns, pitching and gaining coverage for deserving issues. Lynn is active in the public relations and communications industry in Atlanta, including the Public Relations Society of America, where she was co-chair of the membership committee in 2013; a year that the chapter grew 7 percent. She is on the Board of Directors for PRSA Georgia in 2014 and 2015, where she serves as liaison between the membership committee and the elected board for the second largest PRSA chapter in the country. In 2014 under her guidance, the chapter grew more than 9 percent, expanding the organization to more than 900 members. In September of 2013, Lynn developed a hands-on presentation for students at the Grady College of Journalism at the University of Georgia, and in May of 2013, Lynn presented a case study for her company’s work with the American Diabetes Association at the PRSA 2013 Health Care Conference. Dedicated to outreach and mentorship, she has consistently presented to public relations classes at Clayton State College and the University of Georgia, in addition to Atlanta’s Green Communicators in the spring of 2013 where she discussed the use of sound in campaigns. In 2012, Lynn was the immediate past chair and chairman in 2010 and 2011 of the WUOG Alumni Board, supporting the student-run radio station at the University of Georgia which she was heavily involved in both undergraduate and graduate school. Currently Lynn has returned as chair of the WUOG Alumni Association for the 2015-2016 year and continues to provide strategic public relations and communications counsel to the SaveWRAS non-profit organization on their steering and organizing committee.